This entry was posted in Family and tagged Driveway, Happy Thought, just add water, kids playing in puddle, Parenting, Puddle Fun, Row Your Boat. Bookmark the permalink. So cute! 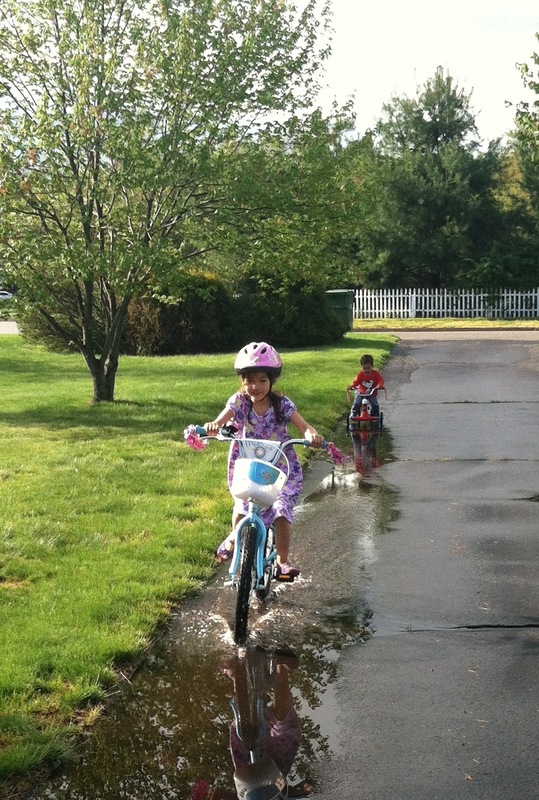 I remember when a puddle was just the best thing in the world! What a great puddle!! So very glad the kids enjoyed the day – once wet, it matters not how many times one splashes through the water. Too bad clothing is not as washable as skin. Having such a wonderful puddle spot is an unknown perk of your move to rural living. Laura has always enjoyed splashing, as I recall the outings to Longwood Garden.